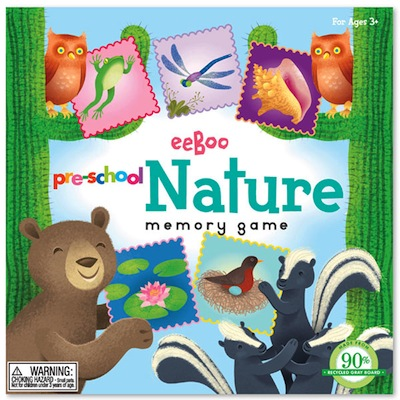 A simple matching game uses images of friendly flora and fauna to sharpen memory skills. Big square pieces have scalloped edges to facilitate handling by small fingers. Made of extra-thick card stock. For ages 3 and up. 10 pairs to match. Pieces are 3.25 inches by 3.25 inches.